Sounds like you're on a roll. Nice. Glad the Icebreaker is treating you right ... and big thanks for including WRC on your list of Favorite Things. The feeling is mutual! You may have gathered I'm not running Moab -- long story -- but I haven't completely ruled out coming over to spectate and whatnot. Just noticed you're on Twitter. Cool. Go, Paige! I haven't strung twelve 8:30s together since the mid 90s! Looking forward to seeing you guys soon for the Red Hot 50K+! I put a link up to your blog from mine- check it out: www.ben-runlong.blogspot.com. Nice use of the word "grody". 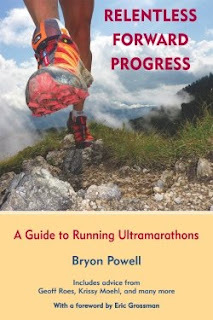 Goodluck this new year with the ultra running and curious how state competitions ultra runs!.